We believe that our involvement goes beyond giving to the Cooperative Program. While we do financially support the Cooperative Program, we also believe we must see where God is working and invest in those ministries or persons to help us "reach the world from Albany, Georgia." Our laity give of their time and resources to see that ministries are ongoing, effective and relevant to certain needs in our community, while supporting full-time missionaries on the field and sending Sherwood members as short term missionaries to meet the needs in any place that God directs. Our areas of Missions can be broken down using the command found in Acts 1:8 - Jerusalem, Judea and Samaria, and the ends of the earth. We are working diligently to make this 80,000+ square feet available to minister to our community in various ways! The Biblical Counseling Center seeks to help individuals deal with their challenges and crises from a Biblical perspective. Ministers to women of all ages and in all walks of life who are facing difficult situations and decisions. We offer alternatives to abortion and share the Gospel through compassionate counseling. Both of these ministries provide exhortation and encouragement to individuals and families. To find out how you can serve, please email Jessica Sheets. Provides treatment for men struggling with alcoholism. ReFRESH® is a conference for those who thirst for revival. It's not about church growth or the latest worship fads. It is a time for you to come apart from the distractions and chaos of life and seek the face of God. ReFRESH® takes place every Fall in Albany and other ReFRESH® conferences are held across the United States throughout the year. To find out how you can serve at ReFRESH, email Debbie Toole. Legacy Park is a testimony of Sherwood's commitment as a church to reach future generations for Christ. We minister to our community by allowing a family-friendly atmosphere for sports and recreation. To find out the various areas where you can serve at Legacy Park, email Patrick Sebesta. The mission of SCA is to assist parents in teaching their children to seek the Lord in every aspect of life. SCA provides an excellent academic education, integrated with a Christan worldview, based on the inspired, inerrant and authoritative Word of God. The mission of The Lord's Pantry is to provide free groceries, clothing, and spiritual encouragement to the impoverished in Dougherty County and the surrounding areas. The Albany Outreach Center exists to financially assist families or individuals in our community who are on the verge of losing their home due to the inability to pay rent. They also assist family members who have a family member in the early stages of Alzheimers, by providing both day care and home care. Named in honor of one of America's greatest preachers, the Havner House serves as a temporary stateside home to missionaries on furlough. Request for use can be made through the Sherwood Missions office. Many missionaries have made the Havner House their home over the years while on furlough in the US. If you are a missionary and are interested in furloughing at the Havner House, click here to fill out an application. Southern Baptists have a history of being one of the most organized and effective relief organizations in the country. When floods, hurricanes, tornadoes, or any other disaster strikes, Southern Baptists are always ready to respond. Volunteers are trained and certified through their respective state conventions. All relief efforts must work under the guidelines of FEMA. Therefore, training and certification is required of all participants. Do not wait for a disaster to strike to decide that you want to help, that will be too late. Get certified with the GBC. In an effort to spread the Gospel, we seek to build relationships at home and throughout the world. Reaching a city for Christ is more than just sharing our faith on the street, it is seeing people grow and mature in their walk. To accomplish this, there must be healthy, Bible-believing churches supporting new believers. Many areas in America are without churches or have nonproductive churches. God has led us to help plant churches in Baltimore, Maryland, and San Francisco, California. These are both areas that are in need of a loving church to minister to their community. For more information on how these church plants, please visit MeetTheNeed.SherwoodBaptist.net/Blog. Check out this NAMB article by Church Planter Ben Pilgreen about 5 Ways to Engage The City. Sherwood members since 1989, Eric and Ramona are full-time missionaries with the International Mission Board. Please pray for Aaron and Joanna and their family as they serve as full-time missionaries in the Solomon Islands. 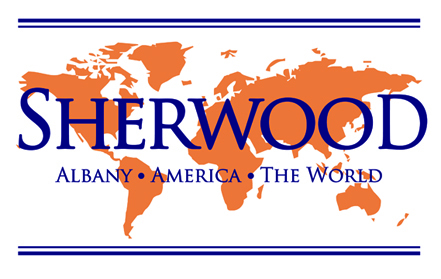 Please pray for a Sherwood member that is serving in a country that requires a highest level of security. 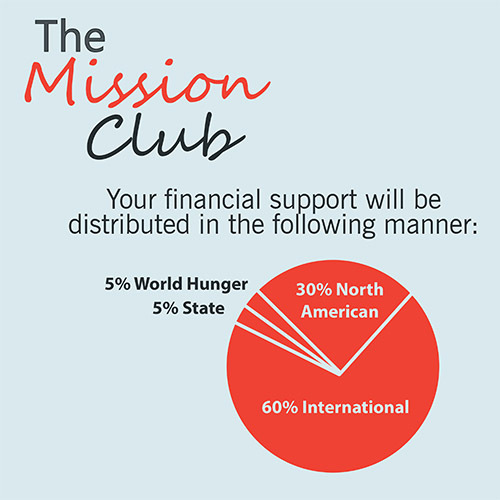 Sherwood supports North American Mission Board (NAMB) through budget giving and the Missions Club. NAMB and ReFRESH® Conferenceare also ministry partners. For more information on local missions please contact David Smith. For more information on church plants or international missions, call 229.883.1910.